Stacey is your go-to for all things nutrition. Whether you’re a dairy farmer or a lifestyler with a small flock of chickens, Stacey has the right nutrition advice. 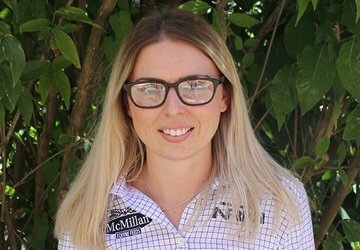 Stacey specialises in ruminant nutrition but loves the wide variety of her role with NRM. She studied Animal Science and Human Nutrition at Massey University and has since completed post-graduate study in ruminant nutrition. Stacey also completed the Australian Association of Ruminant Nutrition exam in Melbourne. She loves reading, music and keeping fit and healthy – but also enjoys a gin and tonic or a nice glass of pinot.